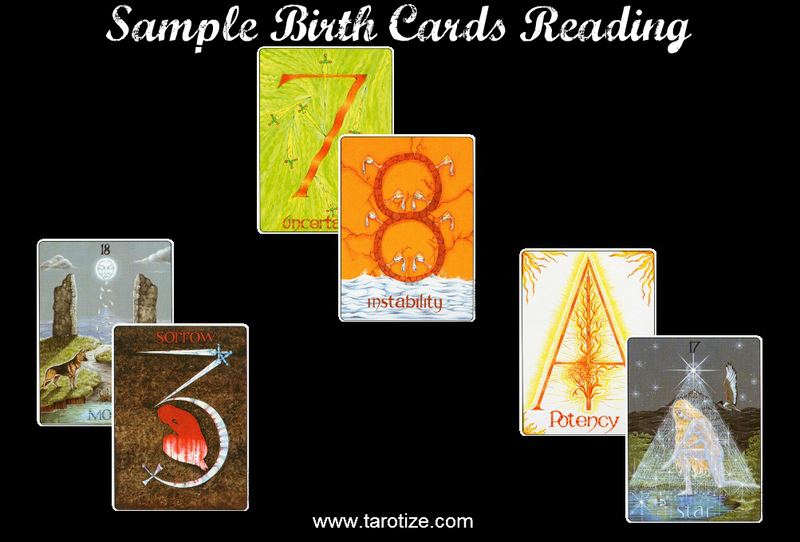 Have you checked your Tarot birth cards yet? Your birth cards are based on your date of birth. The numbers calculated help you find your Soul (inner desire/motivation), Personality (similar to the Zodiac Rising Sign) and Shadow (Jungian term for repressed stuff) cards yet? None of the original birth cards are present. This makes the message of this reading slightly less critical. However the 3 of Swords resonates with the Soul card and therefore gets more ‘points’ in this reading. Soul card theme/challenge: There is a sense of taking a new direction with these two cards. Temporary confusion is likely. A feeling of wanting to give up completely may be present. Personality card theme/challenge: The Moon here resonates with the 9 Numerology of this person’s year card. 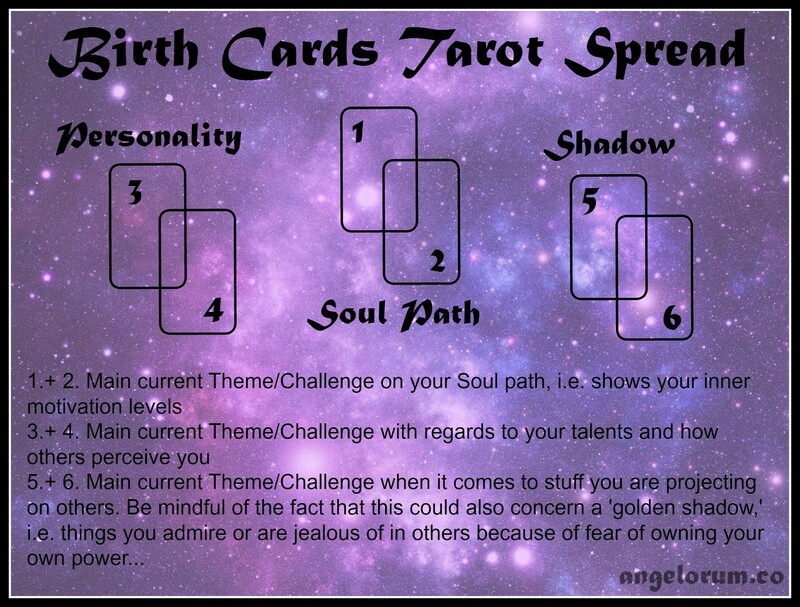 This tells us that it is both possible and likely that the inner changes indicated by the Soul card theme/challenge actually originate in interactions with other people and feelings of isolation, rejection and abandonment (reading the Moon and the 3 of Swords together). The 3 of Swords here also resonates with the current constellation of Saturn in Libra. Shadow card theme/challenge: These two cards definitely speak of a golden shadow and a fear of owning one’s own power – especially when it comes to yang/masculine qualities, as represented by the rather phallic Ace of Wands. The challenge is to gain a bird’s eye perspective and restore hope about the possibility of a more balanced and integrated state of being (The Star).